Toyota Corolla Boot Space, Size, Seats | What Car? The important thing is you won’t struggle to fit – even if you’re really tall. The front seats slide back a long way on their runners, and although some rivals have a tad more head room, you’re unlikely to feel hemmed in. It's wide enough across to keep some space between you and your passenger, too. What about storage? Well, the door pockets are on the small side, but you’ll find plenty of room elsewhere, thanks to a generous glovebox and enough trays and cubbies dotted about. And you get the obligatory twin cupholders in the centre console. Not great: that’s probably the best way to sum up rear space in the Corolla. 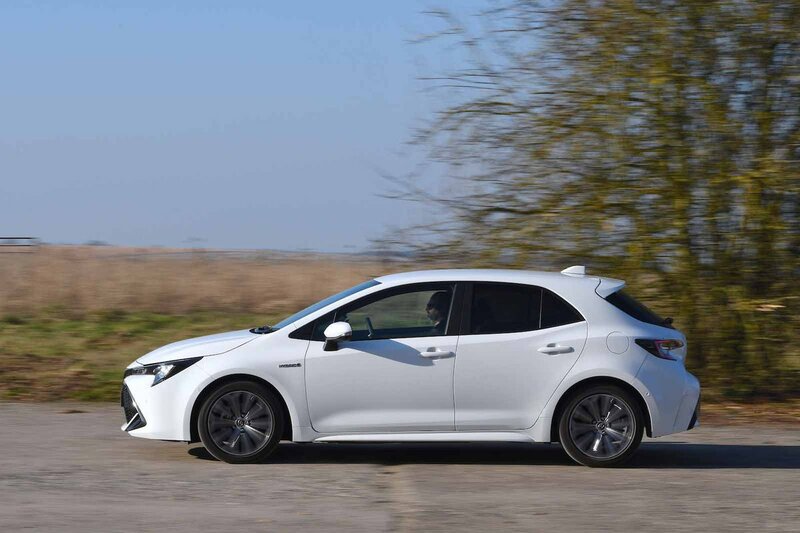 While the Ford Focus and Skoda Octavia are rather accommodating, the Corolla feels cramped for anyone six-feet or over sitting behind someone similar up in the front. Leg room is tight, and head room isn't great either and, exacerbating the problem, the curving roof lining slopes down in front of you and to the side to make the rear feel decidedly claustrophobic. The footwells are pretty tight, too, with little space between the bottom of the front seats and the base of the rears, making it awkward to get in and out. Things are even tighter for the middle passenger. The only car in this class with less rear seat space is the Peugeot 308. 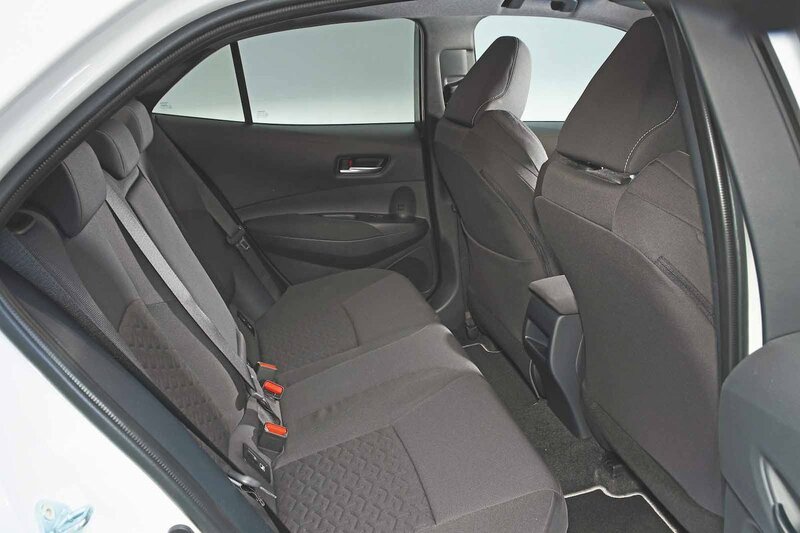 The rear seats don’t recline or do anything else particularly clever, but nor do those in the Corolla’s rivals. However, the seats do fold with a 60/40 split, as you might expect. Operation – by tugging levers next to the rear head restraints while pushing the seatback forward – is straightforward. If you need a big boot, be careful which Corolla you buy – the luggage capacity you're granted depends on the engine you choose. The 1.8-litre hybrid model will accommodate six carry-on suitcases with room to spare — better than a Volkswagen Golf, although not as good as the exceptional massive Octavia. 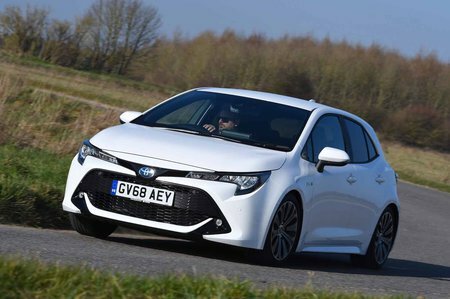 However, the 2.0-litre hybrid model's boot is smaller than some cars from the class below. That's because its bigger engine means there’s not enough space for the battery under the bonnet, forcing it to lurk beneath the boot floor instead. Neither version offers a height-adjustable boot floor and, though the rear seats lie flat when folded down, they leave a sizeable step in the extended loadbay floor.